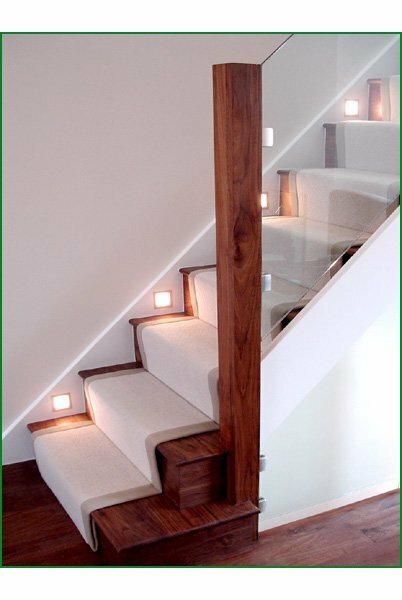 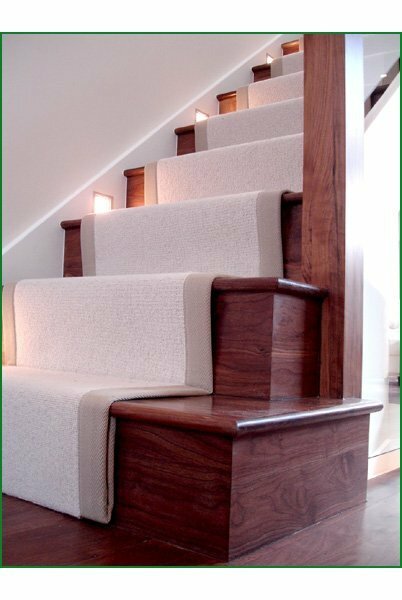 This eye-catching staircase is made from American black walnut. 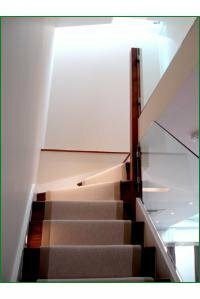 The client opted for a glass balustrade. 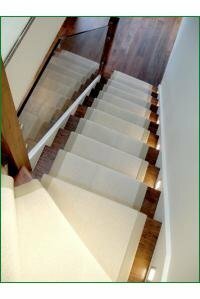 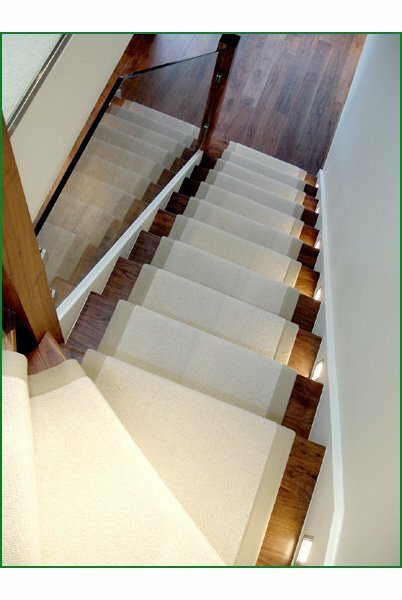 The large, square bottom step is again bespoke to the client as opposed to the more conventional curved bullnose step. 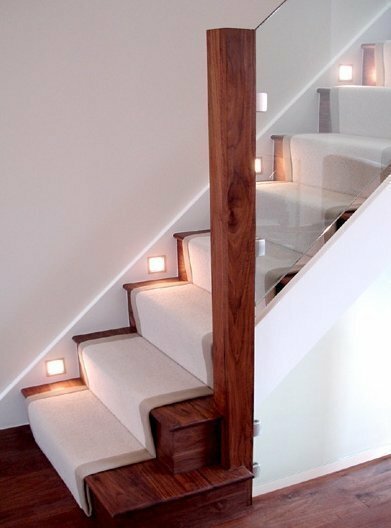 The string lighting was installed by the client. 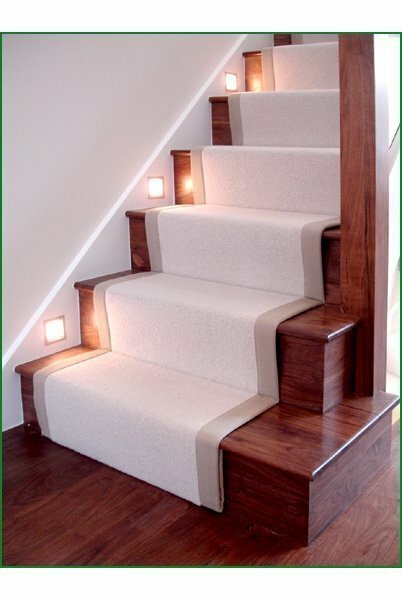 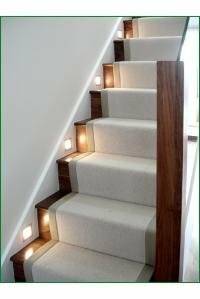 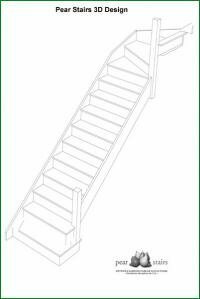 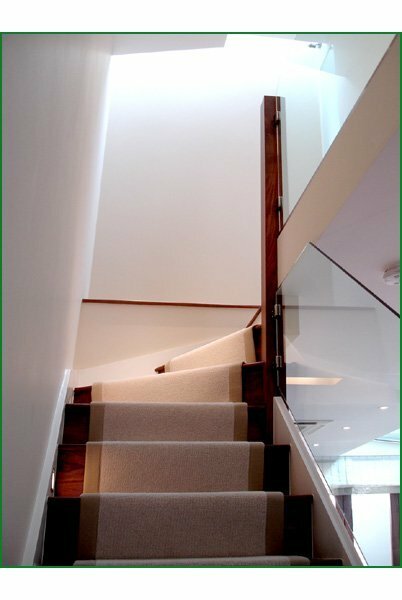 A superb result, an exceptional staircase.